Augmented Reality and Healthcare Marketing: What Pharmacies Need to Know - Prizm Media Inc. Chances are, when you think about augmented or virtual reality (AR/VR), you are picturing a mall kiosk with a big headset and teenagers swinging their arms around playing video games. While that is absolutely one application of this technology, the truth is that augmented/virtual reality is beginning to play an increasingly important role for healthcare providers in the patient experience. Pharmacy owners in particular are a group of healthcare marketers that need to be aware of how this technology can be used to provide value to their customers. Today, we’re going to review three things that pharmacy owners should consider when it comes to supporting marketing to patients in virtual reality. Remember in The Magic School Bus when one of the kids would get sick and the teacher’s response was to take them into the body so they could understand what was happening? Augmented reality is kind of like that. Imagine being able to show your patient exactly how their prescription or course of treatment will impact their body – and how it will ultimately help to make them feel better. Better patient education leaves patients feeling stronger, more in control of their illness, and ultimately more satisfied with the service they have received at your pharmacy: a win for all involved. As a pharmacy owner, you are familiar with how difficult it can be to introduce new products (such as durable medical equipment products) to your customers. Augmented reality can serve as a kind of “product demo”, again showing the impact that this particular product would have on the body, but also how easy it is to administer and why it’s advantageous to choose this item over competitors. Giving patients the opportunity to “practice” or even the visualization required to feel comfortable switching to a new type of product or equipment is the type of exposure necessary to showcase products successfully in the medical equipment space. Being a leader in product showcasing through AR would also put your pharmacy on the map as a leader in product knowledge in your community. 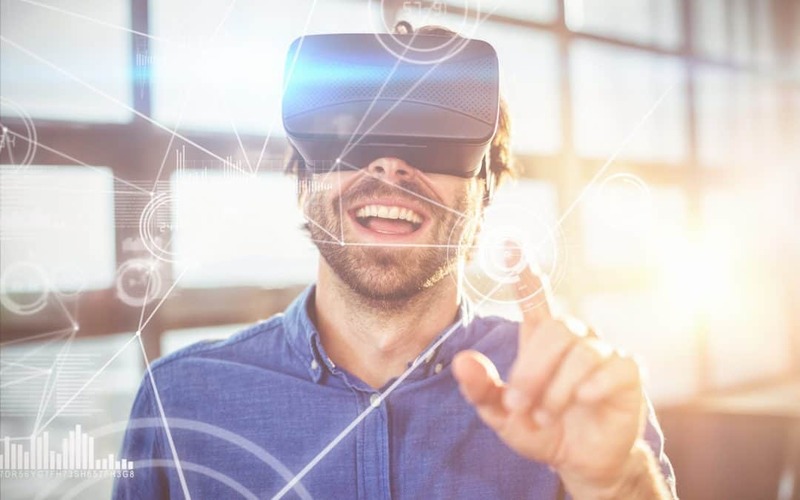 From a marketing perspective, it is important to also consider how augmented reality can integrate and strengthen your existing marketing efforts. Consider a patient who uses AR in your pharmacy to explore a new product, and upon completion of the AR experience immediately has an email from your pharmacy with all of the information they need to later make a purchase decision. Alternatively, if you have seasonal promotions or sales, why not invite customers to try the AR experience as a means of getting them into the store. What better way to stress the importance of a flu shot then to show them how the shot protects you from illness. Using VR to strengthen your existing campaigns in creative ways is a must for pharmacy’s looking to become a leader in healthcare marketing. Next time you see the kids at the mall swinging their arms and enjoying their AR video games, remember that the applications for this technology are so much wider. Consider looking into implementing some AR elements into your marketing program and delivering that extra value to your customers. If you are considering integrating augmented reality into your pharmacy’s marketing strategy, let us know! We’d love to help and work with you to maximize your effort.